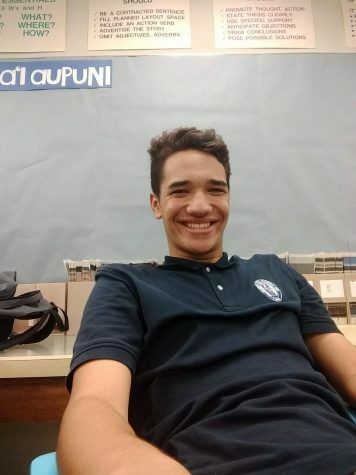 I am Keanu Rowe and I live in Nuʻuanu. This is my second year at Ka Mōʻī and I hope to build upon the foundation that was laid last year. Last year was special in the fact that I was introduced to the world of journalism for the first time. This year already has the makings to be just as awesome! I look forward to working with the new staff, pursuing the truth, and doing my best to help Ka Mōʻī in any way possible. I hope to get involved in the world of politics one day and journalism can provide with with pivotal skills needed for that field.